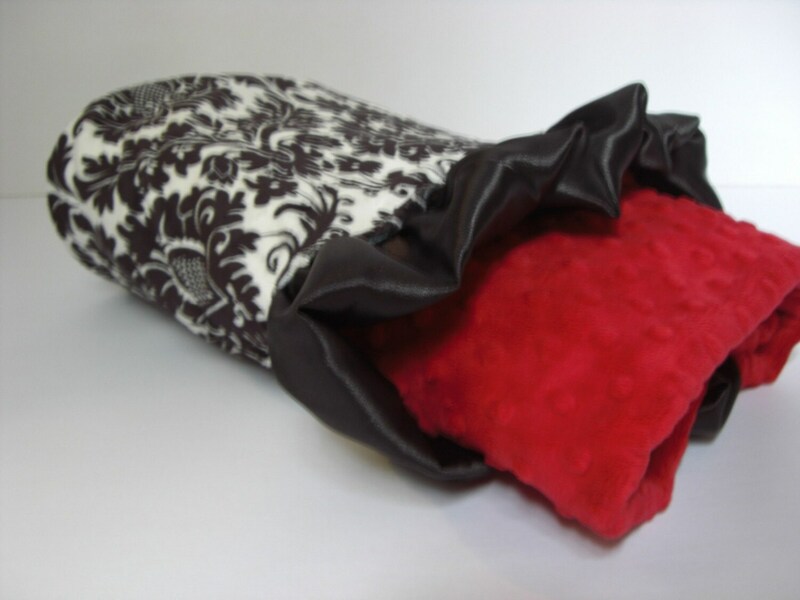 Red dot and Black Damask Minky Blanket. 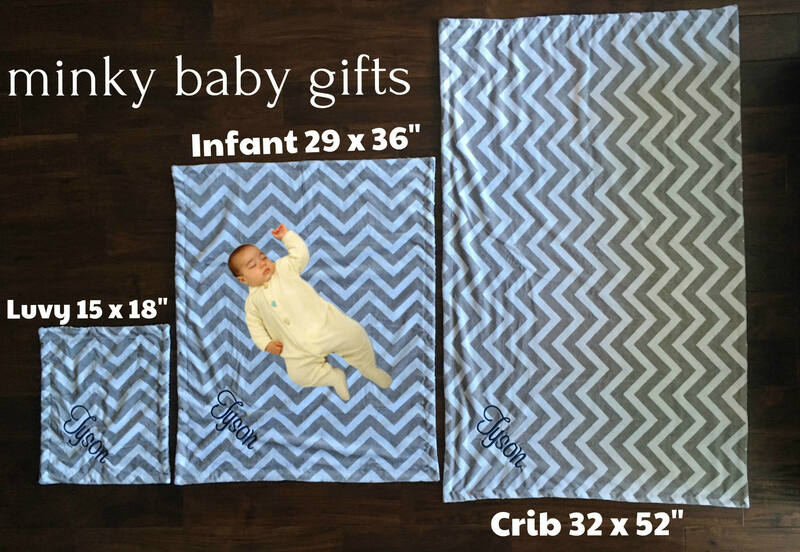 This is the perfect minky baby blanket! 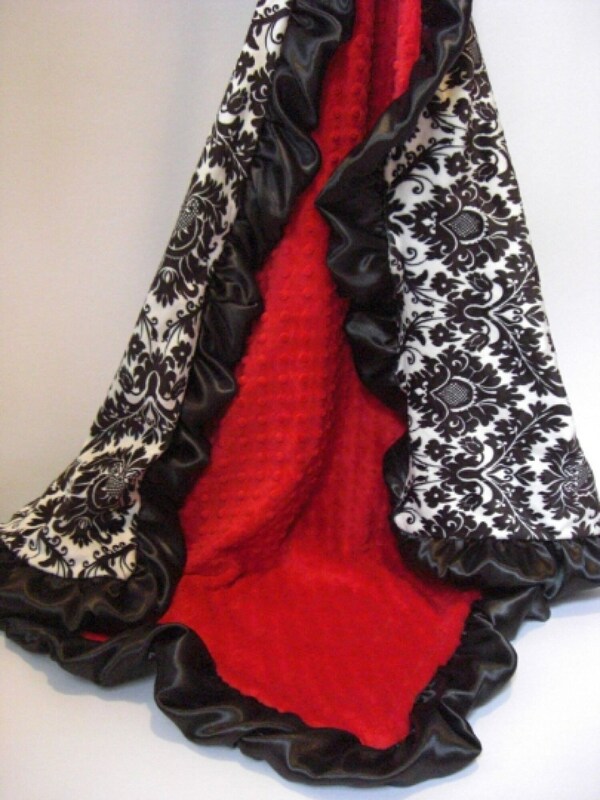 Red and black damask make a stunning combination. 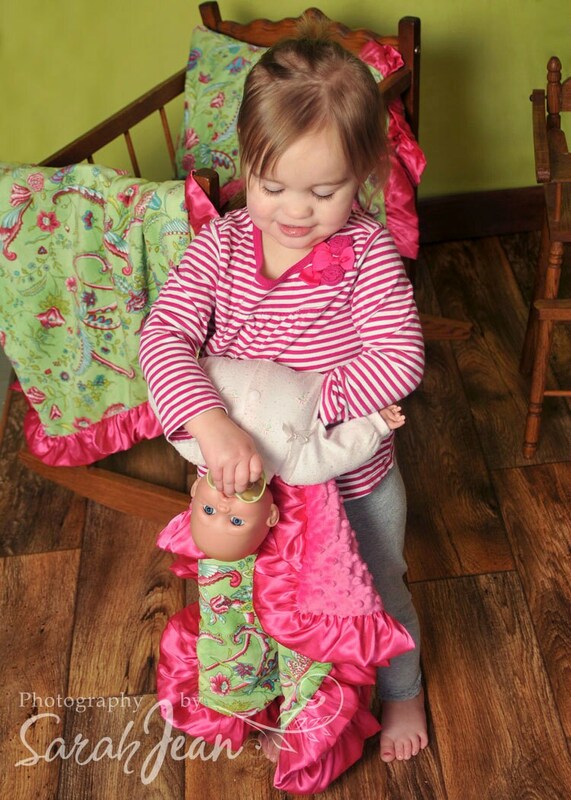 This amazingly soft blanket in soft minky dot chenille on both sides is perfect for a baby girl! 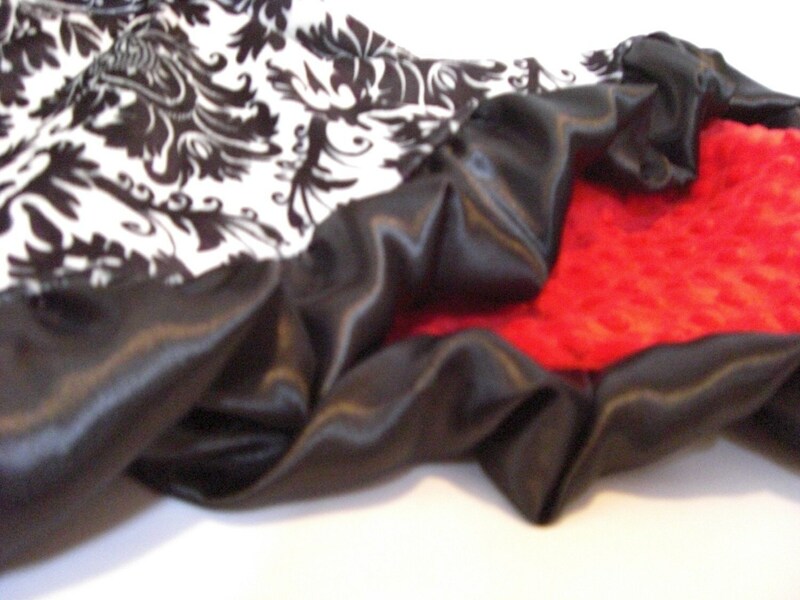 This one is unique because of the beautiful satin ruffle that adorns it. Machine Wash/Tumble Dry, polyester, sizes chosen from drop down menu.